You won’t believe how unbelievably rich, luscious, and creamy mayonnaise makes your mashed potatoes. 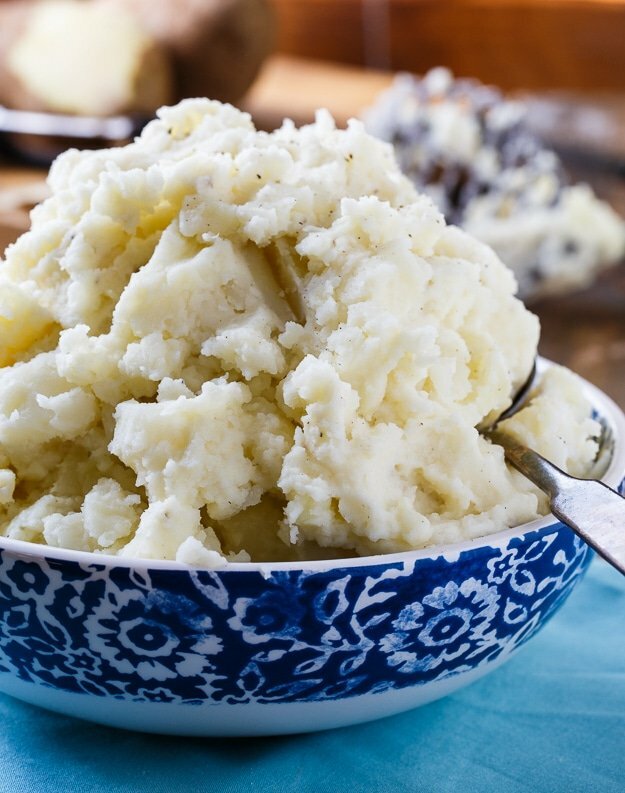 It may sound a little strange to put mayonnaise in mashed potatoes but they are the creamiest, best tasting mashed potatoes with a velvety texture. And there’s not even any butter of cream in them! 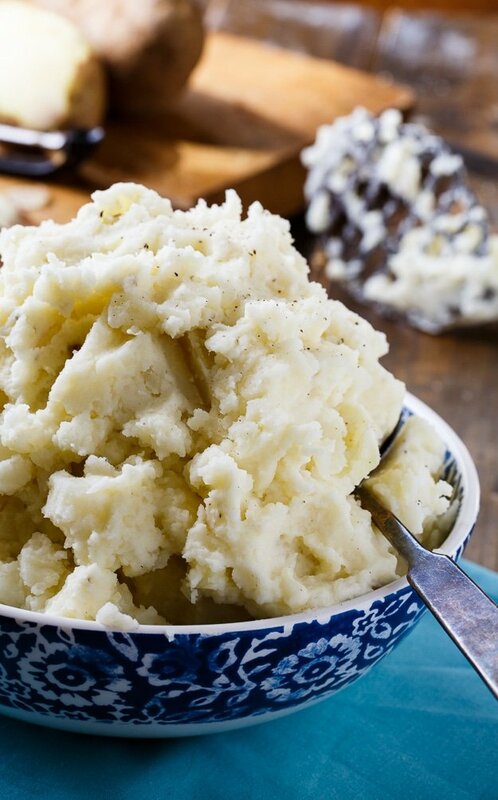 Next to the dressing, mashed potatoes are probably the most looked forward to thing on our Thanksgiving table. 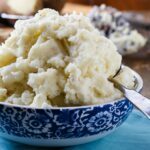 I’ve tried making mashed potatoes numerous ways- Crock Pot Mashed Potatoes and Roasted Garlic and Bacon Mashed Potatoes to name a few. But hands down, mayonnaise mashed potatoes are my favorite. In addition to a fabulous flavor and texture, the mayonnaise also makes the potatoes fabulously white in color. Duke’s Mayonnaise is the most loved mayonnaise in the south and that is what I use. It is also makes a heck of a chocolate cake. 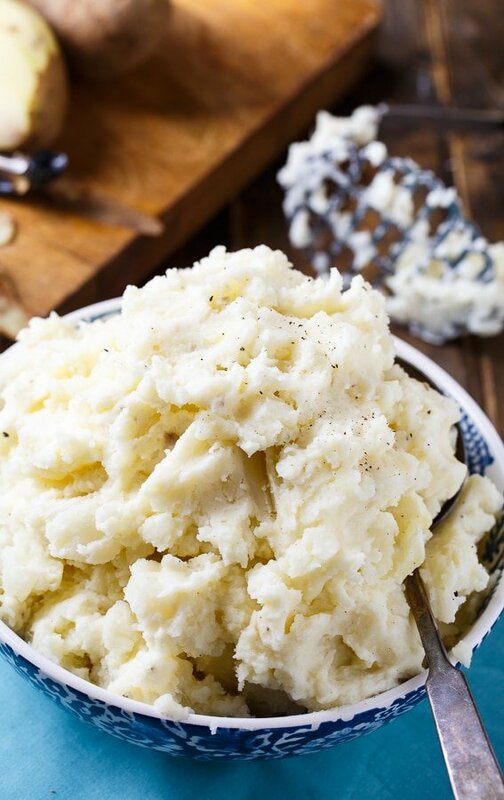 To mash your potatoes, either use a potato masher, or even better, a Potato Ricer . I sometimes use my mixer, but you risk overdoing it with a mixer and turning the mashed potatoes into glue. Have you ever tried mayonnaise in your mashed potatoes? Never miss a recipe. 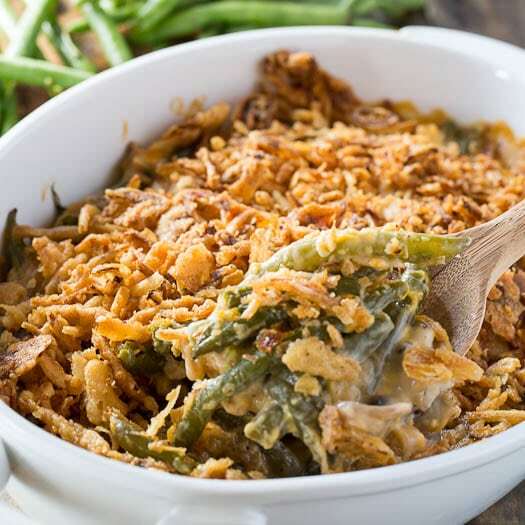 Follow Spicy Southern Kitchen on Facebook, Instagram, and Pinterest. 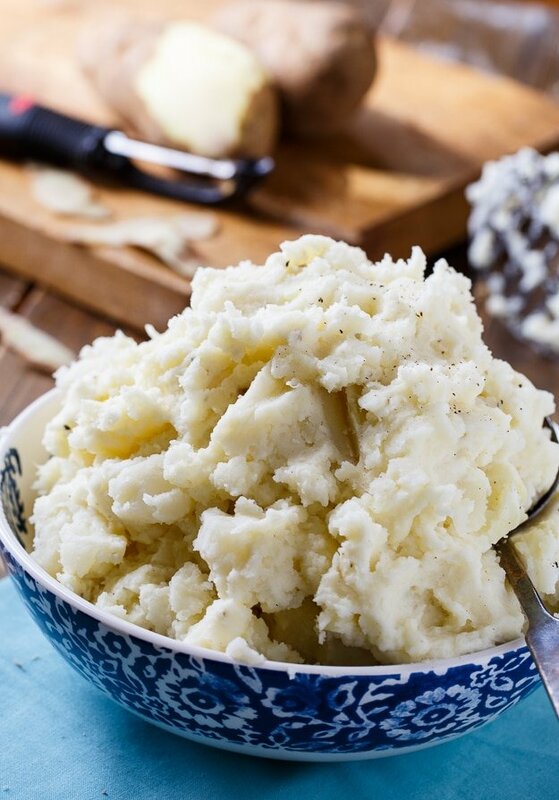 Duke's Mayonnaise Mashed Potatoes are the creamiest mashed potatoes ever! You will fall in love with their velvety texture. Place potatoes in a large pot and cover with 2 inches of water. Add 1 teaspoon salt to water and bring to a simmer. Simmer until potatoes are soft, about 20 minutes. Drain well, reserving about 1/2 cup cooking liquid. Place potatoes back in pot or in a large bowl. Add butter and use a potato masher or potato ricer to mash until smooth. Stir in mayonnaise, salt, and both peppers. If too thick add some of the reserved cooking liquid or you can add milk, but warm it first. This entry was posted in Side Dishes and tagged Duke's mayonnaise, potatoes, thanksgiving. Bookmark the permalink. Making these now and will add some bacon bits and blue cheese to top! Great idea. Now we can have mashed potatoes anytime without concerning ourselves with milk expiration dates. By the way, yes, they’re good. Thanks. No Stinkin’ Way!!! 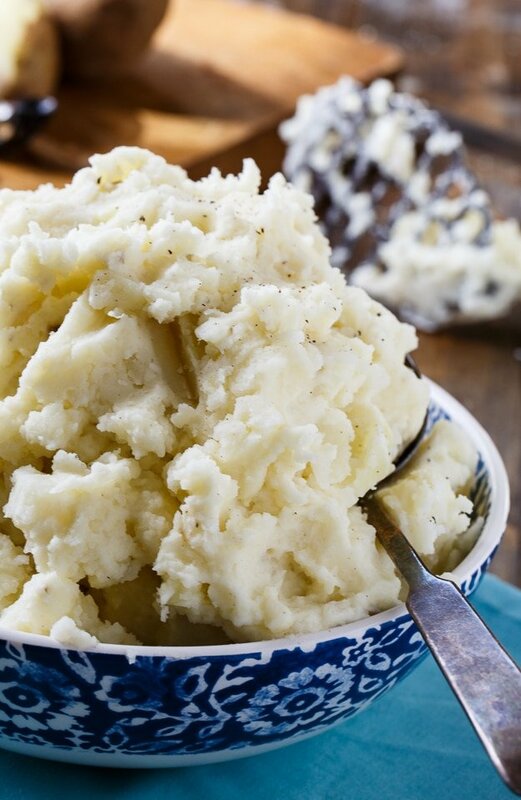 I love this idea – I use Duke’s as well – and tonight, when I make mashed potatoes – I’m using your recipe! Can’t wait! Looks creamy and yummy! I never tried adding mayonnaise to mashed potatoes! Oh I’ve never thought to add mayo to mashed potatoes! I bet this makes them so creamy, Christin. Looks delish! Would you believe that I have lived in Tennessee for my entire life and I never heard of Duke’s until about 6 years ago? It’s not a huge thing around here, but since I started using it I’m all, “Is THERE any other mayonnaise?!? !” I’ve never thought to use it in mashed potatoes, but gah I bet it’s good! These potatoes look incredibly creamy and totally delicious- love the mayo. You’re getting me excited for Thanksgiving!